Plus: Two city apartment complexes sold. Irgens plans 25-acre project in Wauwatosa. 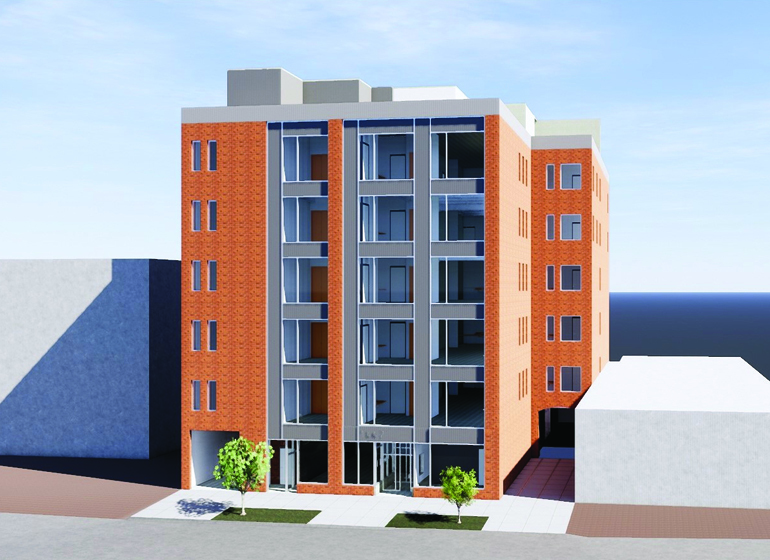 Rendering of 1442 N. Farwell Ave. Redevelopment. Rendering by Anderson Ashton. A largely vacant office building just north of E. Ogden Ave. may become a senior community, pending approval by the city’s Board of Zoning Appeals. The 38,000-square-foot building would contain 65 beds after the conversation. Platinum Communities would operate the facility. Robert Chandler of Midwest Commercial Funding and Peter Ogden, president of Ogden & Co. are partnering on the redevelopment. Anderson Ashton is leading the project’s design. Development firm Irgens Partners has plans to purchase approximately 25 acres at the UW-Milwaukee Innovation Park in Wauwatosa for office development. The company has signed a purchase option with the UWM Real Estate Foundation reported the Milwaukee Business Journal last week. The company is engaged in a master planning process for the land. Irgens has been involved in developing 10 buildings in the nearby Milwaukee County Research Park. The UWM Real Estate Foundation began developing the 89-acre campus in 2011. The Frederick Lofts, a 100-unit apartment building in The Brewery, recently sold for $16 million. The building, which opened in 2015, was sold to an investment fund operated by MLG Capital, Zank reported in BizTimes. The Latitude Apartments at 1857 E. Kenilworth Pl. also recently sold. The 90-unit building was snapped up by Weidner Apartment Homes, based in Washington, for $13.65 million, Zank reported. The building was owned by Dermond Property Investments. Weidner has spent more than $94 million purchasing apartment buildings in Milwaukee in the last two years, Ryan reported in the Milwaukee Business Journal.